With the Feast of All Saints coming up…I thought I’d offer a sitemap of Saints activities and craft kits, along with All Saints resources I have collected online. 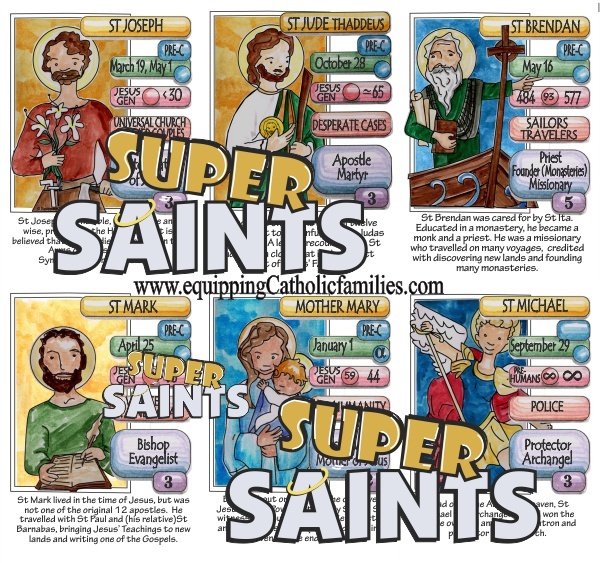 These Super Saints Cards offer full color Kelly Saints illustrations, quick and often quantifiable facts and a short biography. Check out Ordering Information for the Super Saints! Order soon to get your decks in time for All Saints Day! Go Fish!, Old Maid, Memory/Matching, or Sorting games! …and an exciting Super Saints Giveaway coming soon! 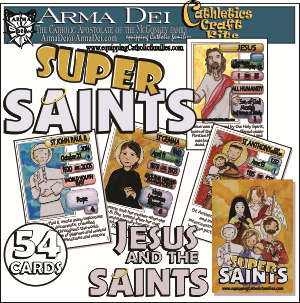 Get the Super Saints Craft Kit…and play BINGO! 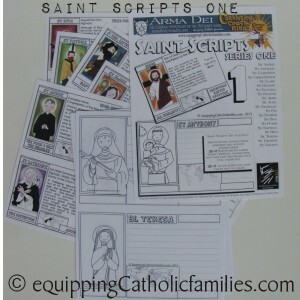 Purchase the Super Saints Craft Kit! We now have a Gallery of Feast Day Fun! 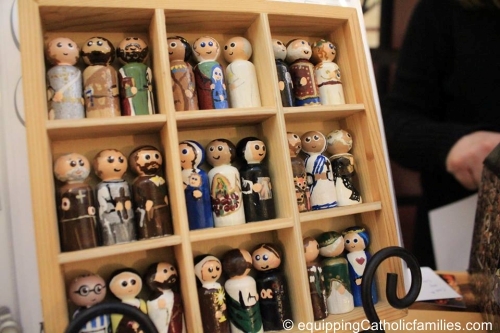 Each post includes the Kelly Saints image, a brief bio or fast facts and a couple ideas to celebrate the Feast Day with crafts and activities. The Kelly Saints were created in the last year for the Saint Scripts Craft Kits. 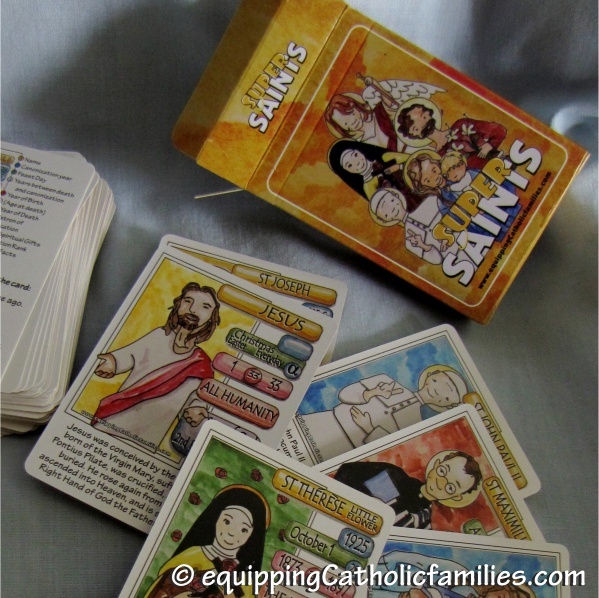 We have also added the Kelly Saints Stamps transforming more than 7 classic games to be Catholic, the Communion of Saints Calendar and the Catholic Conversation Pieces with Saints and Sacrament conversation prompts and images. We’re hoping to release Saint Scripts Series THREE shortly! Having an All Saints Party? Check out these 7 links for Saints Costumes and Party Ideas! New Release! Super Saints Cards featuring Kelly Saints!